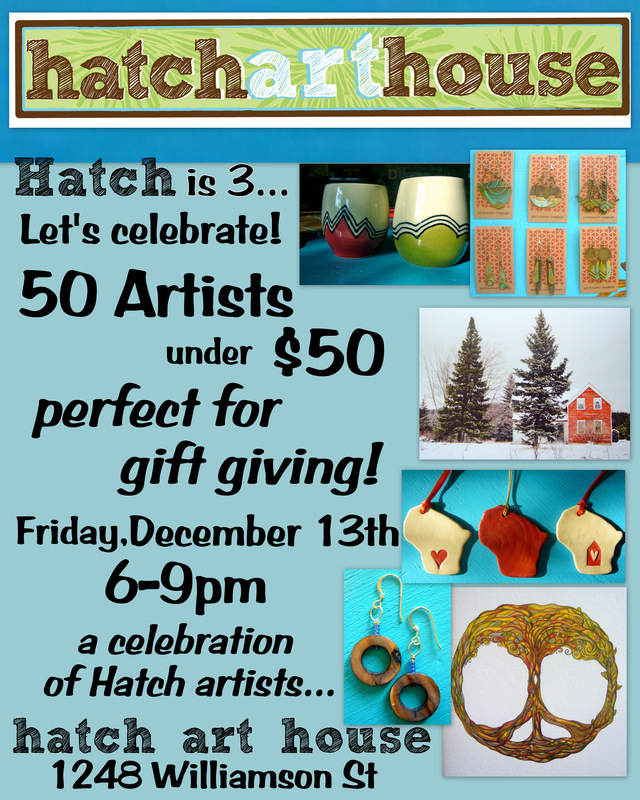 During the month of December, Hatch Art House will be celebrating their 3rd anniversary by showcasing all 50 Hatch artists with gift giving art for $50 or less. As always, Hatch only represents Wisconsin based artists with the majority from the Madison area. Hatch also has an emphasis on upcycled and recycled material both in artwork and in the shop itself. The artist reception will be Friday, December 13th from 6-9pm. Many local artists will be in attendance to talk about their work. We’ll have sweet treats and festive drinks on hand. This holiday season, remember to shop small businesses and stay local. Hatch features ONLY Wisconsin artists, 90% of which are from the Madison area. When you buy from Hatch you know you are buying local.